This combination of a charcoal check three piece suit and a white dress shirt is the picture of elegance. Pier One suede lace ups in black with wedge sole will add a casual vibe to your getup. If you're looking for a casual yet sharp ensemble, team a charcoal blazer with navy skinny jeans. Both garments are totally comfortable and will look great paired together. Channel your inner Ryan Gosling and opt for a pair of Pier One suede lace ups in black with wedge sole from Asos to class up your ensemble. If you're on a mission for a casual yet stylish ensemble, try pairing a tobacco cotton blazer with navy skinny jeans. Both pieces are totally comfortable and will look great together. Up the ante of your outfit with Pier One suede lace ups in black with wedge sole. If you're all about practicality dressing when it comes to your personal style, you'll love this on-trend pairing of a black parka and blue jeans. 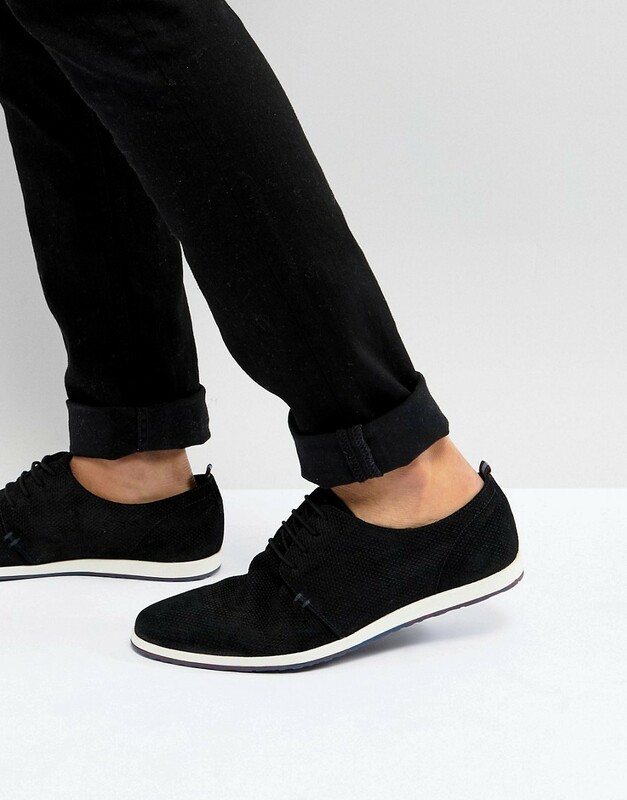 Kick up the cool of your ensemble by wearing black suede derby shoes. 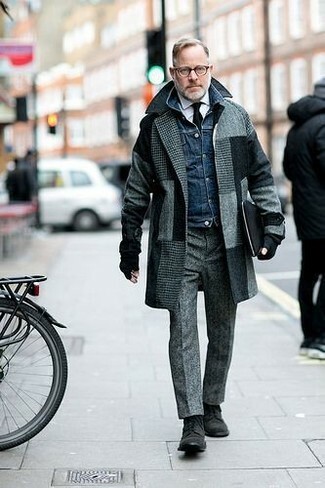 Rock a grey check overcoat with grey wool dress pants for a sharp, fashionable look. For something more on the daring side to complement this ensemble, opt for a pair of black suede derby shoes. 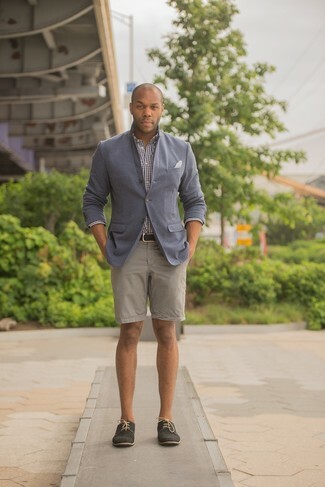 For a casually elegant look, opt for a grey blazer and beige shorts — these two pieces the place of work really well together. You could perhaps get a little creative in the footwear department and elevate your getup with Pier One suede lace ups in black with wedge sole. As you can see, being a dapper dude doesn't take that much the place of work. 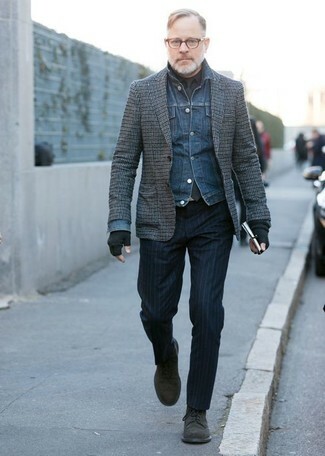 Just choose a blue denim jacket and navy vertical striped dress pants and you'll look incredibly stylish. A pair of Pier One suede lace ups in black with wedge sole will seamlessly integrate within a variety of getups. For a nothing less than incredibly stylish getup, opt for a navy suit and a navy dress shirt. Want to go easy on the shoe front? Grab a pair of Pier One suede lace ups in black with wedge sole from Asos for the day. 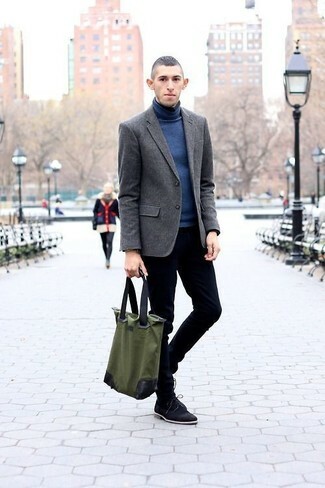 For a nothing less than incredibly stylish ensemble, pair a light blue crew-neck sweater with black dress pants. When it comes to footwear, this outfit is complemented nicely with Pier One suede lace ups in black with wedge sole.